Length: 6 hrs. 43 min. 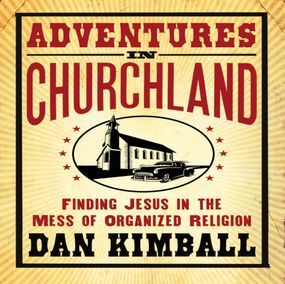 For many years, Dan Kimball would have agreed, until an encounter with a small group of Jesus followers started him on a journey that challenged him to rethink everything he had ever assumed about the church. In Adventures in Churchland, Dan invites you to join him as he uncovers what the Bible really says about the church and reminds us that it’s more than just buildings and institutions, it’s a beautiful mess of broken people learning to follow Jesus together. As you journey with Dan, you’ll begin to see the church as Jesus intended it to be: a community of forgiven misfits coming together to serve the world around them with passion, creativity, innovation, and grace.